Three generations of the Bizev family have been welcoming guests to the Hotel for ten years. 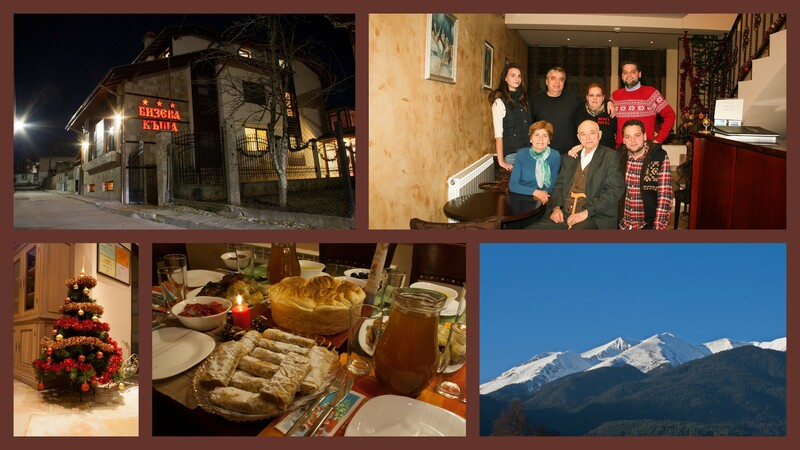 We are a local Bansko family aiming to help our visitors explore the beauty of the town and mountain throughout the whole year. 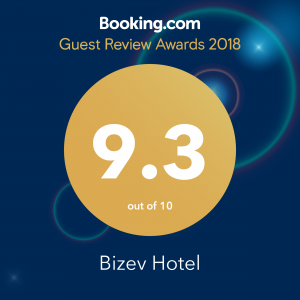 The team of Bizev Hotel is small, but always ready to provide the feel and comfort of home to its guests. Our leading motivation in the management of the hotel is the friendly environment and close relations that we build with our guests. Mariela and Mihail Bizev established Bizev Hotel in 2005. British tour operator ‘Thomas Cook’ granted the hotel with the prestigious „Mark of Excellence” award immediately after its first winter season. The high standards of services have been reinforced throughout the years. Fresh ingredients, traditional recipes and warm hospitality are offered by Granny Elena and Grandpa Nikola. Granny Elena is always willing to cook her signature dish – banitsa (a typical Bulgarian pastry). Their grandsons – Nikolay and Tsvetan – as well as hotel guests can testify to this. The boys will share some useful advice for the ski slopes and conditions. They are also experienced in the nightlife of Bansko, so feel free to ask for the right place to go.